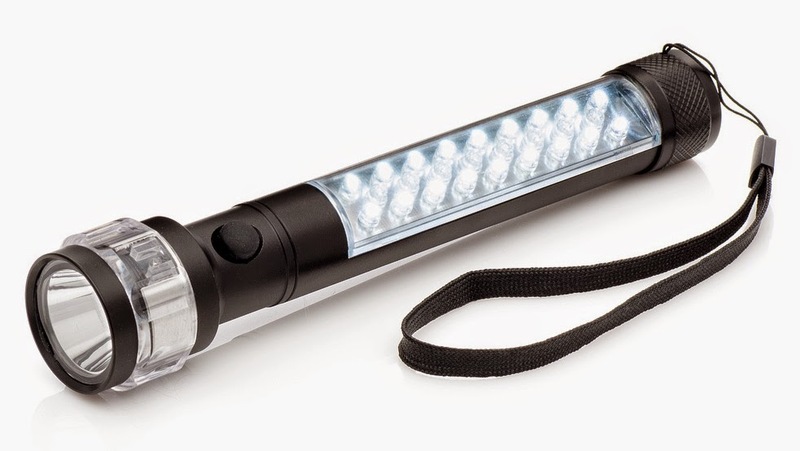 Equipped with a main bright LED, 18 side LEDs, 11 red LEDs, The OxyLED® MD30 LED flashlight is built to provide you with brilliant light for any emergency or survival situation. Comes with sturdy magnetic base, it can easily stuck on metallic surface for hands-free usage. The military-grade aluminum structure makes it weather resistant and shockproof. It's really a good companion for your car. I have to say, I was very impressed with this 3-in-1 Multi-functional LED Vehicle Emergency Light! 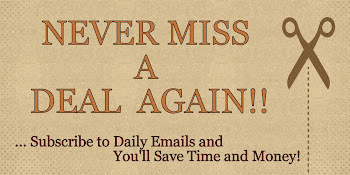 I have found it to be very versatile in many uses through out my home, outside and in my car. 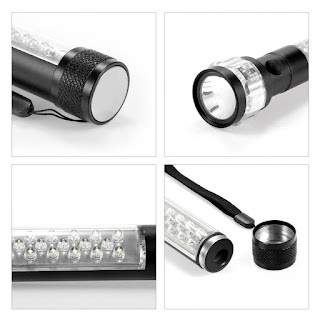 The flashlight itself is a great size with a strong, durable, weather resistant aluminum body... And, it only requires 3-AAA batteries. I love that it has a very strong magnetic base. I tried it on my car and it was able to hold itself very well horizontally without slipping. The 3 light options feature is great too, adding to it's versatility. The 1st option is a powerful, bright focused beam of cree light. The 2nd option is eighteen small LED white lights. Great if you just need some extra light, like a lamp or a small lantern. The 3rd option is great for an emergency, especially for motorist. It consists of flashing red lights and is a great way to warn other motorist if you have stalled or need to change a tire. This flashlight really is great for many uses. I have decided to keep it in my car for emergencies or for the "just in case" time. You never know when you might need some light. I would definitely recommend this to anyone. 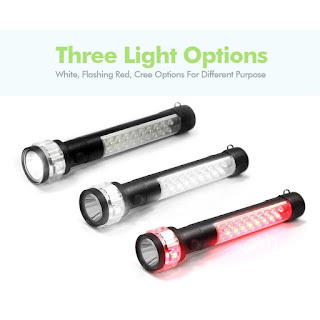 If you would like to try it out for yourself, you can purchase the OxyLED MD30 3-in-1 Multi-Function Adjustable LED Flashlight, Handheld Emergency Flashlights, Super Bright, Powerful MAGNETIZED BASE right now from Amazon!